"Given the respective records of the two teams that's a generous price about India, who have won 16 of their last 19 in 12 months"
Australia continue to search for a semblance of confidence. At the break in their last outing they looked like getting hold of a tranche. Needing just a little more than 10 an over in a 10-over thrash to take the series against South Africa, they flunked badly. Much like their ODI squad, Australia seem to lack the smarts with the bat in T20. They can only play one way - muscle it. And when they come up against opposition with brains, plans and commitment in the field they struggle. Across all formats it's now just two wins in 11 for Australia. It's not stretching things to reckon they are in crisis, considering the well-documented off-field troubles. Remember Marcus Stoinis said they were mentally shot halfway through the ODI series defeat by South Africa. The squad is the same for this contest which lost the T20 series. Aaron Finch's poor run shows so sign of stopping. Bright spots are Alex Carey and the excellent pacer AJ Tye. India are the No 2-rated team in the world in extraordinary times. Pakistan, the top rankers, are unbeatable so no-one should be under any illusions how good this India team are. Still, Australian conditions provide them with a unique challenge. One which they have rarely been up to. Across all formats in Australia they have a 20 per cent win chance. More recently, though, they beat Australia three-zip in a T20 series two years ago. With four players they have more batsmen in the top 20 in the world than any other country. Unbelievably, their top-ranked is not Virat Kohli. In fact he's third on that list just in front of Shikhar Dhawan. The explosive KL Rahul is No 4 in the world with Rohit Sharma at No 7. Their bowling attack is well-balanced. Pacers Jasprit Bumrah and Bhuv Kumar give control while Yuz Chahal and Kuldeep Yadav strangle sides with spin. If those plans fail Umesh Yadav tries to blow sides away with pace. There have been only three T20i played at The Gabba. The scores read: 191-157-209. Domestically, the wicket has been pretty good to bat on in the Big Bash. The last five scores read: 187-146-176-191. There is no toss bias on recent form and the weather forecast is good. Any edge for the hosts? Australia are [2.12] and India are [1.88]. Punters should feel pretty pleased the plunge on the tourists has not started yet. Given the respective records of the two teams that's a generous price about India, who have won 16 of their last 19 in 12 months. There doesn't seem to be much for Australia (or favourite layers) to cling to here. India have won 10 of their last 11 when chasing. That's their strength. But they are hardly weak when defending - 12 wins in their last 18. And there remains precious little evidence that Australia are going to be able to counter India's spin attack. Chahal and Kuldeep really should tie them in the knots and their mean economy rates should be the game. Finch is a stinker of a favourite at 11/4 for top Aussie runscorer with Betfair Sportsbook. His last eight scores across all formats read: 7-11-41-5-1-3-0-1. With little needed to win this market Glenn Maxwell, top scorer in the SA ODI series, and Alex Carey catch the eye at 5/1 and 11/1 respectively. Chris Lynn, on the home of his Bash franchise, is 7/2. 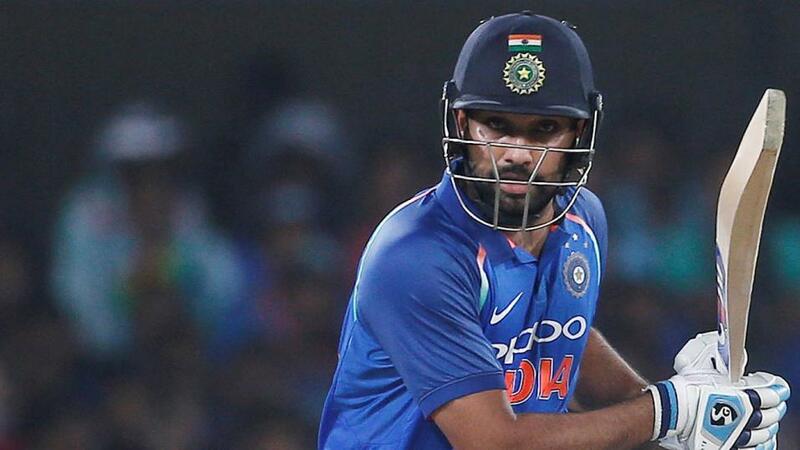 Kohli (13/5), Sharma (11/4), Dhawan (7/2) and Iyer (4/1) are all ahead of Rahul in the top India bat betting, who gets a 5/1 quote from Sportsbook. We would expect him to bat at No 3 with Rohit and Dhawan opening. Kohli is pencilled in for No 4.